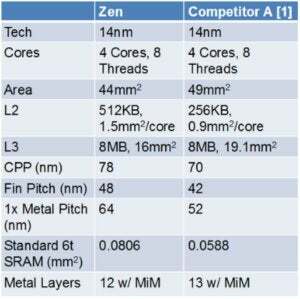 Oh, and it looks like there'll be a quad-core chip. 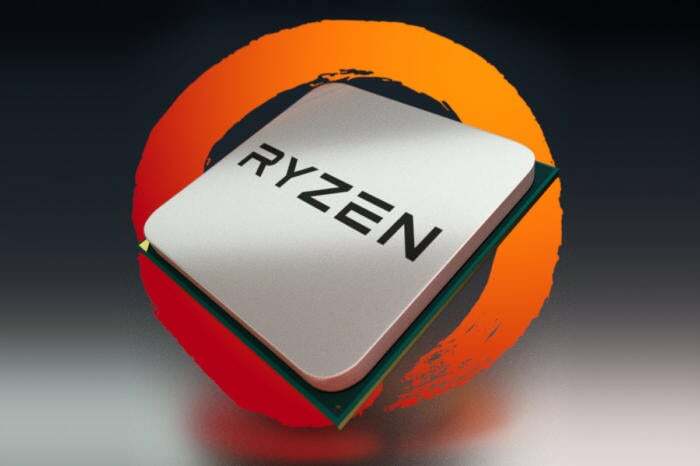 AMD’s upcoming Ryzen CPU will occupy less space and offer twice the amount of cache of Intel’s 6th-generation CPU, according to a news report. Oh, and there will indeed be a quad-core model. AMD engineers made the disclosure in a paper this week during the International Solid-State Circuits Conference in San Francisco, according to EE Times’ Rick Merritt. The engineering paper said a quad-core Ryzen chip built on a 14nm process would be about 10 percent smaller than a comparable 6th-generation Intel Skylake CPU built on a 14nm process, while offering twice the L2 cache of the Intel chip. The paper appears to count only the amount of space used for the x86 cores on an Intel CPU in its comparison. Like other mainstream CPUs, Intel’s Skylake chips also include graphics cores aboard. Why this matters: Intel’s manufacturing prowess is the envy of the free world. News that AMD managed to squeeze its next-generation CPU into a smaller package is more good news for the underdog company. Ryzen is expected to offer competitive cost and performance against Intel’s lineup. AMD engineers claim in a paper released this week that a quad-core Ryzen will use less space than an Intel quad-core Skylake chip. Merritt further reported that AMD engineers claimed the company had no fewer than two different eight-core CPUs in the lineup. The statements by AMD engineers at ISSCC are likely more reliable than the multiple leaks of sometimes contradictory Ryzen details that trickle out from week to week. A few weeks ago, a rumor said no six-core Ryzen would be in the initial lineup. This was then followed by other leaks that a six-core Ryzen would indeed be in the launch lineup. The only official word from AMD promised an “army” of Ryzen chips at launch, with the top-end consumer model featuring eight cores, simultaneous multithreading and a speed of at least 3.4GHz. In other words, you’ll have to hold your breath until early March, when AMD said it would drop its new CPU on the world at last.